Lightweight Flymesh construction in the upper enhances airflow to keep your feet from overheating. A full-length Max Air unit combined with lightweight Cushlon foam directly underfoot provide incredible cushioning and a springy feel. The cushioning creates a smooth sensation from heel to toe with each step. Rubber on the outsole in a Waffle pattern delivers durability and superb traction on the track, trail or sidewalk. Have your say. 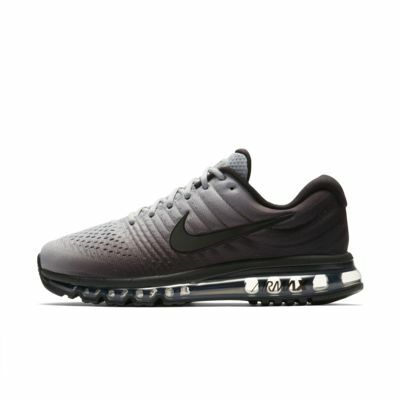 Be the first to review the Nike Air Max 2017.